Who is Most at Risk for Sexual Violence in NM? How Can Sexual Violence Be Prevented? The most effective way to prevent sexual violence is through primary prevention, which means stopping it before it occurs. For prevention efforts to work, they have to target risk factors at each level – individual, relationship, community and society. Adapted from Violence Prevention—The Social-Ecological Model: A Framework for Prevention. Centers for Disease Control and Prevention. 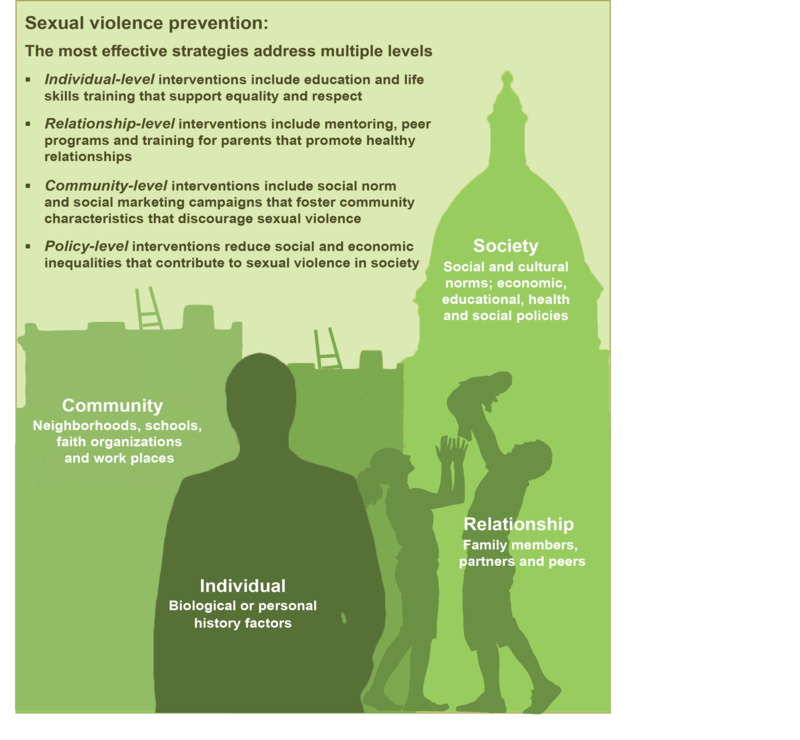 For a more complete list of risk factors for perpetrating sexual violence, see http://www.cdc.gov/violenceprevention/sexualviolence/riskprotectivefactors.html. For more information about risk factors for being the victim of sexual violence, see Chapter 6, Sexual Violence, of the World Health Organization’s World Report on Violence and Health: http://apps.who.int/iris/bitstream/10665/42495/1/9241545615_eng.pdf.